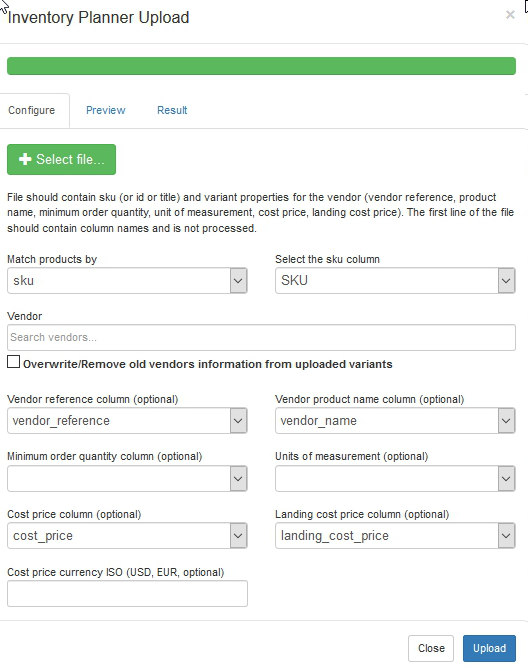 You can upload a file with sku and cost prices. This will update cost prices for all vendors and variants. 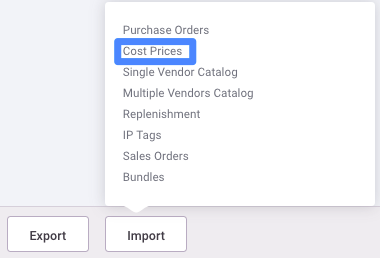 Click Import > Cost Prices. Vendor list shows currently available vendors with some basic information. You can access vendor details by clicking on vendor title. Here you can also create new vendor. 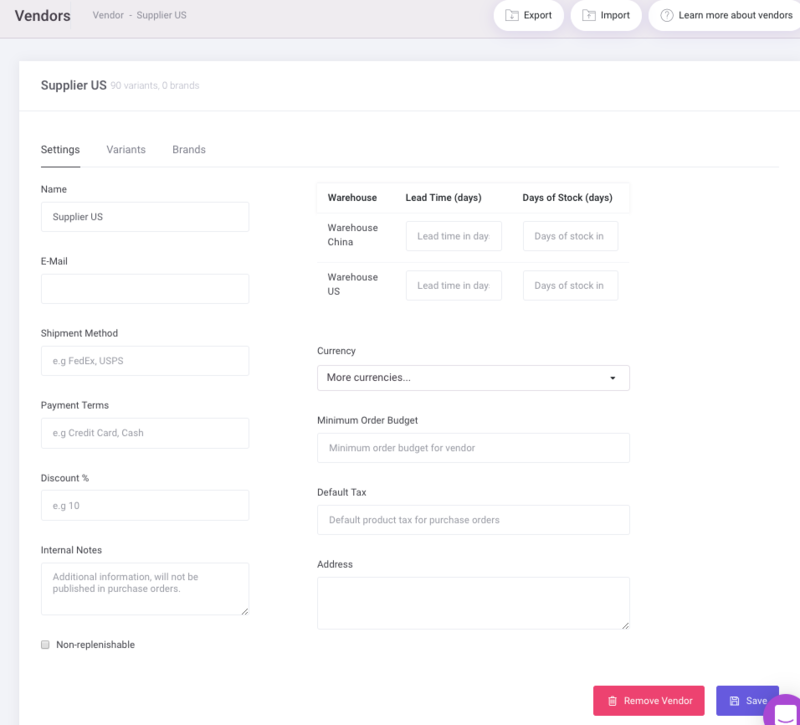 Here you can edit cost prices and other information to be use in purchase orders. 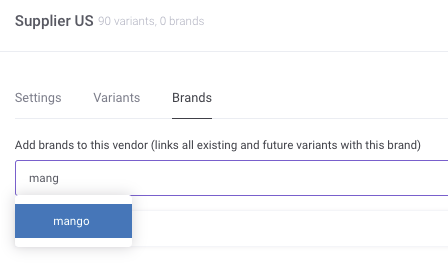 Here you can add/remove products for the vendor, edit variant information for this vendor: lead time, review period, cost price, vendor reference and more.